On Oct. 29, 2007, join the National Psoriasis Foundation in celebrating the fourth-annual World Psoriasis Day, a global effort to raise public awareness about psoriasis and psoriatic arthritis and the seriousness of these diseases. Psoriasis affects approximately 125 million people—and is often dismissed as a cosmetic skin condition. In reality, psoriasis is a serious, genetic disease of the immune system that researchers have linked to other serious conditions, including heart disease, diabetes, liver disease and obesity. Psoriasis is not contagious, but for those who have it, the disease can be both a physical and emotional burden. In the United States, where as many as 7.5 million people have psoriasis, the Psoriasis Foundation is recruiting volunteers for our Psoriasis Action Network. This program is a united community to educate Congress about psoriasis and the need for increased research funding through proposed legislation. Palm TX, Officially I'm a Mapalad member! 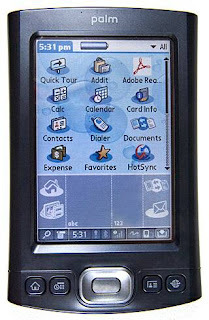 I bought today a Palm TX,a PDA device for my personal and academic needs. Currently I'm exploring the device and all of its functions. This is the 4th gadget I bought from my salary (PSP,NDS & iPod were the previous). Now what should I buy next?